Every time you open Tinder, you’ll immediately see new, interesting people nearby, along with friends or interests you have in common. Swipe right to like or left to pass on each person’s profile. All swipes are anonymous. No one will ever know you’ve passed on their profile. Only once you’ve both swiped right on each other will your newfound match be revealed. Get to know your match directly in Tinder by using our built-in, safe and private chat. 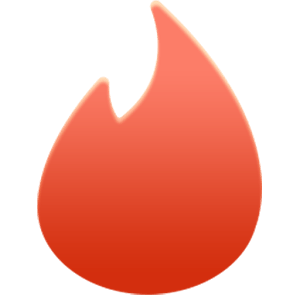 See why millions of users spanning every country around the world love Tinder. A single swipe can change your life. Note: Tinder requires Facebook to login. Fixed issue purchasing Tinder Plus. Undo - Take back your last swipe! Passport - Change your location to match with people around the world! Performance increases and even better swiping!